The Most Epic Car Rentals in Paihia. Looking for the perfect car rental service in Paihia? We’re here to sort you out with a zippy, affordable car hire option to see your through your visit to the Bay of Islands. Paihia is one of NZ’s most scenic summer spots – and it’s a great place to escape the winter chill. Known for its amazing beaches, watersports, snorkeling and fine seafood dining, there are plenty of not-to-be-missed experiences to be found in this small seaside town. 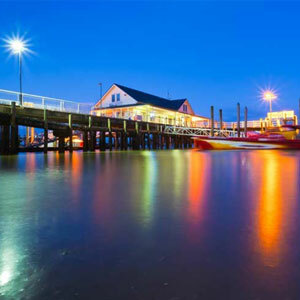 Paihia is also the perfect base from which to explore nearby Waitangi – an historical spot of huge significance, where New Zealand’s founding document, the Treaty of Waitangi, was signed between the British and Maori. If you’re staying in Paihia on your visit to Northland, why not pick up your Epic car rental while you’re there? Alternatively, you can pick up your car from nearby Opua – another one of Northland’s hidden gems. Paihia is a popular destination for cruise ships – if you’re arriving on a cruise ship and requiring a rental car for day tripping, we’ve got you covered. When you book your car rental with Epic, you’re getting more than just a car. It’s super simple to book – just use the form below to select your pickup destination, and see what’s available from our fleet of zippy, late model cars for the dates you want. We’ll see you soon!